Last year’s Christmas special, “A Christmas Carol” (which I reviewed here a few days ago), probably belongs in the pantheon of all-time great TV hours, and if I had any apprehensions going into “The Doctor, The Widow, and the Wardrobe,” it was that this special couldn’t possibly live up to that standard. And yes, indeed, it wasn’t as good as last year’s. 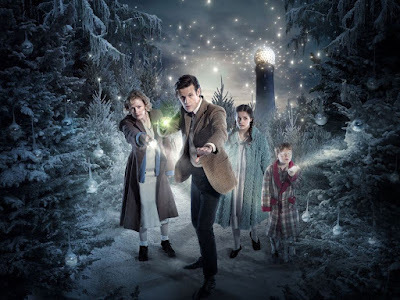 But it came pretty shockingly close, and more importantly, was a very welcome return to basics for writer Steven Moffat, who got lost in the shuffle of a broad, overly complicated narrative during the recently completed sixth series. In fact, this was one of the most basic types of Who stories, one where the story isn’t really about the Doctor, but about the guest characters. The Doctor merely drops into their lives and lends a hand which, given the show’s premise, is a clearly archetypical Who structure. I don’t feel it’s always done well, because it requires us to become heavily invested in brand new characters, but Moffat has proven his skill at this before – i.e. “Blink” – and where “Wardrobe” succeeds most strongly is in making us care for Madge and her children, wanting just as badly as the Doctor did to see them overcome a very difficult time in their lives. 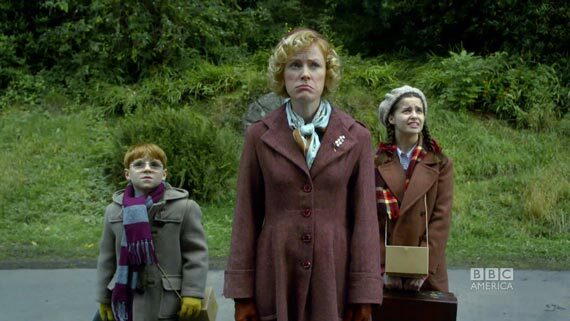 Madge was written and performed (by Claire Skinner) so strongly, Moffat’s feminist message about the power of motherhood delivered so perfectly, that I found myself tearing up when the father returned alive, rather than cringing at a moment that should logically have reeked of cop-out. But when Moffat is at the top of his game, he can do just about anything, and “Wardrobe” displayed his penchant for delivering powerful emotional punches through wildly complex storytelling. 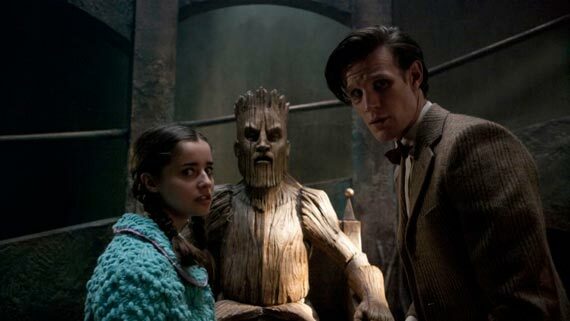 As always, there was enough imagination on display for ten episodes; The Doctor designing a magical fun-house or the extermination of a mystical Christmas-tree forest, for instance, could easily have been the basis for their own stories, but for the first time since “The Impossible Astronaut,” all of Moffat’s wildly creative beats truly felt like pieces of a whole. It’s very good to see the man back at the top of his considerably impressive game. Where the episode most strongly impressed me, though, was the end, where Moffat turned the story around to focus on the Doctor’s self-imposed isolation from the world. In a way, Madge’s and Amy’s condemnation of the Doctor’s actions redeem the asinine “Teselecta-ex-machina” from series six, turning the Doctor’s last-minute life-saving trick into something that, while not fully pathetic, is far from triumphant. I though we’d seen just about every side to Smith’s Doctor, but apologetic and humbled to this degree is a new mode for Smith to play, and he did so wonderfully. 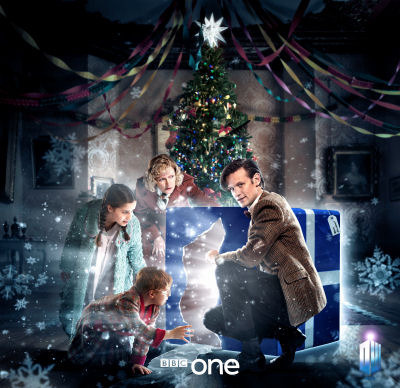 What a fantastic note to end 2011 on for Doctor Who. The show won’t be returning until next fall, but this is a better stopping point than the arguably unsatisfying “Wedding of River Song,” and makes me very optimistic for how the story and characters are going to be handled moving forward.